Grab it now! Dell Inspiron Mini 9 sells for only $199. The Dell Inspiron Mini 9 has a starting price of $249, but Dell is giving you an instant savings of $50. 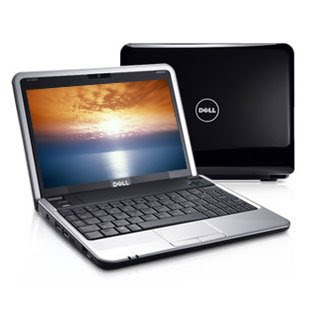 The cheapest Dell netbook is here. Protect your laptop by installing a software that says "Stolen Computer!" or a screen that displays "You are being tracked. I am right at your door." Tell those thieves exactly what you think of them using Front Door Software Corp.'s Retriever program. You can log on to a Web site and check a box indicating the computer is missing. Now during start-up, a big yellow and red banner appears on the screen, boldly declaring the laptop lost or stolen. This message is set to reappear every 30 seconds, no matter how many times the thief closes the window. You can remotely switch on a second password prompt if you fear the thief has also stolen your regular Windows, Macintosh or Linux login. Behind the scenes, Retriever uses built-in Wi-Fi to sniff out nearby networks, then suss out what Internet service providers power them. With that information in hand, you can file a police report and get help locating the criminal. While waiting for law enforcement to come through, you can even let off steam by sending new messages to the nagging "Stolen Computer!" screen. The latest version of Retriever, which costs $29.95 for three years of use, is even more aggressive. Now, when the "stolen" screen pops up, the laptop cries for help. Use a canned message ("Help, this laptop is reported lost or stolen. If you are not my owner, please report me now.") or record your own. Pocket Retriever from Amazon Store. The Asus Eee PC T91 looks beautiful. I have always wanted to own a tablet netbook. But I just could not find the right model for me. When the Asus Eee PC T91 will be released sooner, I might put it unto my shopping list. 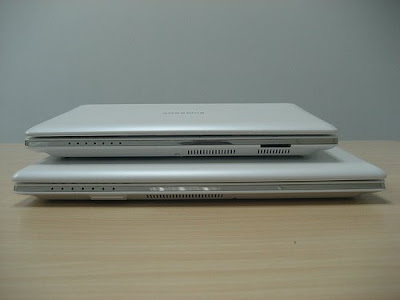 Asus Eee PC T91 features a 8.5″ x 6.5″ x 1.1″ frame and weighs just about 2.2 pounds. It has a 9-inch touchscreen display. The convertible tablet netbook will come with an optional 3G modem, GPS receiver, DVB-T television tuner, and will run Windows XP Home. 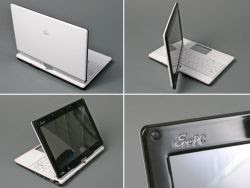 ASUS may also release the Asus Eee PC T101H, a 10-inch tablet netbook. Have you gotten your Asus Eee PC 1000HE netbook unit yet? Amazon has been accepting pre-orders for the past days, but now Amazon starts shipping the units. The ASUS Eee PC 1000HE 10-inch mini-laptop is offered at a discounted price of $374.00. Buy ASUS Eee PC 1000HE 10-Inch Netbook (1.66 GHz Intel Atom N280 Processor, 1 GB RAM, 160 GB Hard Drive, 10 GB E-Storage, Bluetooth, XP Home, 6 Cell Battery) Black. Secured Amazon Store. Check it out. Very good GPS deal from buy.com. I just ordered mine few minutes ago. 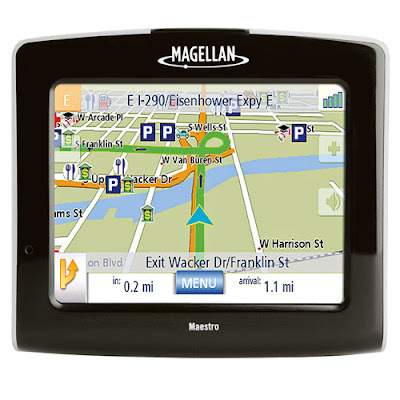 Magellan Maestro 3200 Ultra thin 3.5" touch screen Automobile Navigator is for sale for just $59.99. Other merchants are offering this model for $150.00. Affordable, ultra-thin and amazingly easy to use, the Magellan Maestro 3200 enables you to find virtually anywhere in seconds without reading the instructions! The simple touch-screen menu presents easy options in brilliant color! The large 3.5" touch screen shows your position on the interactive map, plus distance to the next turn, distance to destination, ETA, street names and more, all at a glance. Voice guidance offers worry-free driving with turn-by-turn directions so you can keep your eyes on the road. You can now constantly connect your Lenovo laptop with your Blackberry phone even when the computer is off or in standby mode. [quote] Even with it is turned off, a new ThinkPad laptop will be able to talk to a BlackBerry phone so their owner will be able to read and send e-mail faster, the companies behind the devices planned to announce Monday. Lenovo Group Ltd., maker of the ThinkPad, and Research In Motion Ltd., maker of the BlackBerry, have together created an accessory card for the laptops that will wirelessly download e-mail through the owner's BlackBerry, even when the computer is off or in standby mode. That means that when the ThinkPad boots up, new e-mail will already be loaded. There's no need to establish a secure Internet connection to the employer's servers. The user will also be able to send e-mail from the ThinkPad through the BlackBerry without an additional Internet connection. The "Lenovo Constant Connect" card will let users combine the always-on nature of the BlackBerry with the larger keyboard and screen of the laptop, said Rick Cheston, executive director at Lenovo. For instance, a traveler could flip open the laptop to do some quick e-mailing at an airport layover, rather than spending time to set up Internet access, he said. The card will cost $150 or less when Lenovo starts selling it in the second quarter in the U.S. It will be available in the rest of the world later this year. Initially it will work only with Microsoft Corp.'s Outlook e-mail client, but Lenovo is working on supporting IBM Corp.'s Lotus Notes as well, Cheston said. ThinkPads made last summer or later will be compatible with the Constant Connect card, and BlackBerrys made in the last few years will work with it, he added. The card connects to a BlackBerry through the Bluetooth wireless technology. When the computer is off, the card stores new e-mail in flash memory. 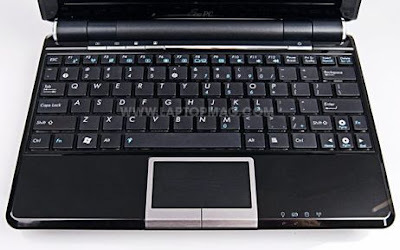 Compaq Presario CQ60-212US Notebook for $399.98? The Compaq Presario CQ60-212US Notebook is just $399.98 at Staple Stores (Reg $679.98 - $250 instant savings and $30 easy rebate = $399.98). Unbelievable? Believe it, this is one great laptop deal. Where can you get a laptop with nice specs and priced for just under $400? You should visit Staples Laptop Special that runs from February 15-21, 2009. 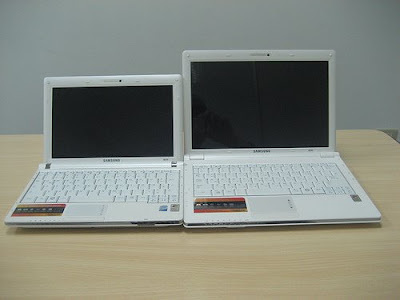 Blog netbooknews.de posted a lot of photos comparing the two Samsung netbooks -- Samsung NC10 vs Samsung NC20. This is just a proof that the latest model, Samsung NC20, is two-inch bigger than the previous one. I own a Samsung NC10, but once NC20 will be available in the U.S., I'll be the first one to buy a unit. 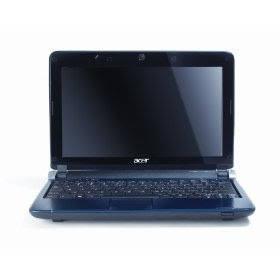 Few days ago, the Acer Aspire one AOD150 10-inch screen netbook was still in preorder at Amazon. 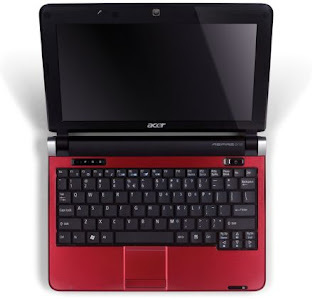 Now, the unit is in stock and Acer's first ever netbook with a 10.1 inch screen is ready for shipping in the U.S.
Acer Aspire one AOD150 is the cheapest 10" netbook so far with a price tag of $349.99. To see the features of this mini-laptop, it is here. To buy it at Amazon store secured site-- click here. Press release: Samsung Mobile and T-Mobile USA have announced the upcoming availability of the ‘Samsung Memoir,’ a full touch-screen mobile phone equipped with an 8-megapixel camera and premium multimedia features, placing it among the highest quality imaging phones available in the U.S. The ‘Memoir,’ available exclusively from T-Mobile, is designed to look and feel like a customer’s current point-and-shoot digital camera. Its built-in 8-megapixel camera with Xenon flash, 16x digital zoom and five shooting modes empower customers to capture exceptional photos and videos from their phone. 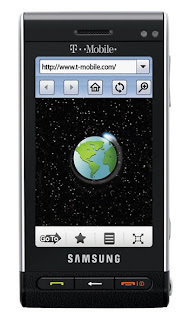 The touch-screen phone enabled by Samsung’s TouchWiz user interface and powered by T-Mobile’s high-speed 3G network, makes sharing photos easy. Samsung’s new photo widget allows customers to post images taken with the ‘Memoir’ directly to their favorite online photo-sharing sources. The Memoir’s full-touch virtual QWERTY keypad and multiple messaging capabilities, including text, multimedia messaging, instant messaging and e-mail, make staying connected quick and easy while on the go. It is also complete with a music and video player and built-in Assisted GPS navigation, which allows customers to utilize location-based services including turn-by-turn directions. For hands-free use, the Memoir features stereo Bluetooth technology, speakerphone and voice-activated dialing. T-Mobile’s 3G coverage available in select markets. The ‘Memoir’ also works on T-Mobile’s 2G network. laptopmag.com has a review of the new ASUS Eee PC 1000HE. With its new features and offering price, this might be one of the best netbook deals around. The ASUS Eee PC 1000HE has battery life that can last more than 7 hours on a charge. The price? It's only $399, much lesser than the Samsung NC10. 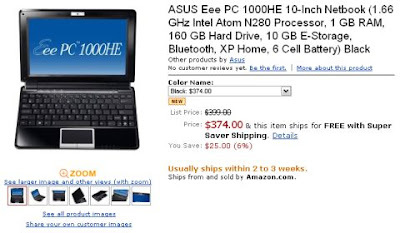 Amazon is offering a much lower price for the ASUS Eee PC 1000HE if you preorder now. Sascha from Netbook News.de was able to get a hands-on of the new Acer Aspire One D150, 10-inch screen. Here is a quick review video of the look and feel of the Acer Aspire One D150 netbook. Acer Aspire One D150 - 10" in Amazon now! Amazon Store Discounted Price - $349.99. Acer Aspire One D150 - 10" in Amazon now! Acer Aspire One D150 10-inch netbook is available in Amazon Store for pre-order. The new Acer Aspire One is priced really cheap and you need to buy it. Buy: Acer Aspire One AOD150-1165 10.1-Inch Netbook (1.6 GHz Intel Atom N270 Processor, 1 GB RAM, 160 GB Hard Drive, XP Home, 6 Cell Battery) Sapphire Blue -- Amazon Store Discounted Price - $349.99. Sony Vaio P is a netbook. But the price of $899 for Sony Vaio P does not sound like it is, at least when compared to other netbooks out there. Would you shell out few more hundred bucks to get this mini-laptop? You should take a second look. Sony Vaio P has a good keyboard, and an 8 inch display screen and a high 1600 x 768 pixel resolution. It also has built in GPS (other netbooks don't have this feature) and a built in 3G modem which can be used with the Verizon Wireless high speed mobile network in the US. 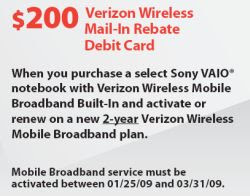 Speaking of Verizon Wireless, if you decide to buy a Sony Vaio P and sign up for a 2 year Verizon Wireless service contract before March 31st, you can get the netbook for $200 less. What do you think? Are you ready to buy a $699 Sony Vaio P?